Running a restaurant or a bar keeps you busy, so you don't have time to worry about dealing with lawsuits, property damage, or loss of income. Unfortunately, the reality is that all of these things are potential threats to the operation and success of your business. However, with our restaurant and bar insurance in Orlando, FL, you'll be able to significantly minimize the damage that is caused by such situations. This enables you to return your focus to serving your customers with quality food and beverages. Protecting the time and money you've invested in your bar allows you to focus on the most important aspects involved with your daily operations. With a concentrated population of intoxicated individuals gathered in a single location, bar insurance is a necessary and worthwhile investment for the inevitable incidents that occur in such circumstances. The primary reason for having liquor liability insurance is the protection of your bar from legal trouble arising from a number of issues. Some of the most common incidents involving liquor liability include overserving patrons, serving minors, serving known drunks, and serving individuals involved in a drunken driving incident. You may also want to consider the option of protecting your bar from assault and battery claims against employees who have allegedly behaved with unnecessary roughness against patrons or for patrons who assault other patrons. Restaurants, grocery stores, and wholesale food businesses that serve perishable food and beverages rely on the freshness of their products on a daily basis. While losing profits as a result of wasted food inventory is a frustrating aspect of food service, it's a realistic aspect of the business that comes with the territory. Even worse than losing money and food is the threat of being shut down by the government for serving food that is spoiled. In order to avoid such a damaging blow to your reputation, turn to our agency to take advantage of our food spoilage coverage so you can continue serving your patrons with the fresh food and beverages that they've come to love. 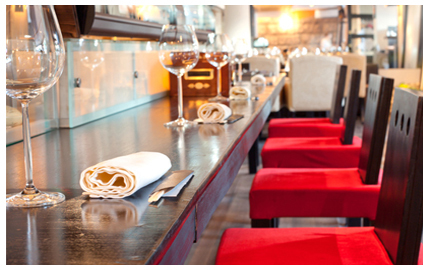 Contact us to find out more information about our restaurant and bar insurance. We serve clients in Orlando, Kissimmee, Winter Park, Apopka, and Sanford, Florida, and the surrounding areas.